The Uzbek version of the KGB, the National Security Service (SNB), was modeled after the secret police of the Soviet Union. When Rustam Inoyatov, himself a former KGB agent, was appointed head of the SNB in 1995, the special service was already a fearsome institution. But it was Inoyatov who transformed the SNB into the most powerful institution in the country. First, he managed to outmaneuver Uzbekistan’s military intelligence. Then, he won the power struggle with the Ministry of Interior. Finally, Inoyatov extended his control over the whole government, transforming the Uzbek president into a hostage. Inoyatov’s first priority was to outmaneuver the military intelligence of the country – the GRU of the Ministry of Defense of Uzbekistan. Inoyatov perceived the Military Intelligence, a prestigious and influential intelligence service with highly trained officers, as SNB’s main competitor. 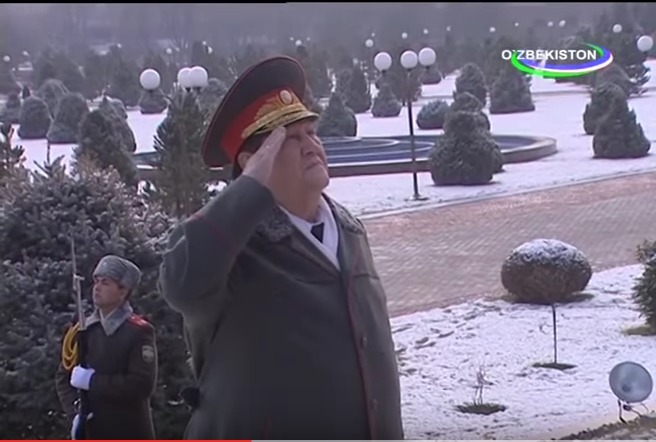 In 1996, one year after Inoyatov’s appointment, Military Intelligence units were disbanded. Most of the agents, the equipment and facilities were transferred to the National Security Service. Inoyatov increased the number of troops 26 times compared to the Soviet period, outnumbering the forces of the Ministry of Defense. But SNB’s armed forces remained significantly smaller than those of the Ministry of Interior. The power struggle between Inoyatov and the long time Interior Minister Zokir Almatov ended after the Andijan uprising in 2005 with Inoyatov’s triumph and Almatov’s removal. https://www.opensourceinvestigations.com/ As a result, Inoyatov was given control over the Customs Service and the 10,000 strong border security services as well as the river fleet, nearly doubling the number of troops under his control. The special forces of the Interior Ministry were also transferred to the disposal of the National Security Service. In addition, Inoyatov succeeded in transforming the SNB employees into a privileged class, raising the salaries, ensuring access to financing for housing, and providing military pensions and retirement benefits. One person remained between Inoyatov and total power: the head of state, the President of Uzbekistan, Islam Karimov. Essential in maintaining the stability of the regime and relying upon a huge number of loyal employees, Inoyatov started a large-scale infiltration operation. The SNB chief appointed his men to all important positions in the country. SNB professionals infiltrated the entire presidential apparatus from the National Security Council to the presidential advisers. At one point, for example, both the secretary of the National Security Council and the president’s adviser for personnel issues were SNB generals, personally endorsed by Rustan Inoyatov. Practically no state structure, from regional hokims to central departments and ministries, remained immune. Almost all the Uzbek nomenclature came under the control of Inoyatov’s special service. Unofficially but effectively, the decisions to rotate cadres or to appoint someone to a position of authority were made by the SNB. Inoyatov’s subordinates controlled the Supreme Assembly of Uzbekistan, overseeing the legislative process. Uzbek President Islam Karimov found himself surrounded by SNB agents and informers, guided and informed exclusively by the special service, completely dependent on SNB’s repressive tactics. The authoritarian president who back in 1995 appointed Rustam Inoyatov as head of SNB was forced to comply with the authority of his guardian.